The Faculty of Agriculture of the University of Mauritius in collaboration with the Mauritius Post released on 13 October 2014 a Special Commemorative Cover to mark its centenary. 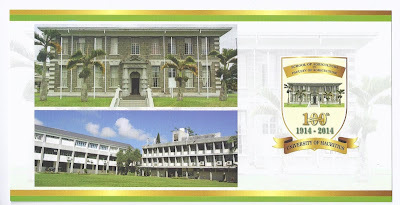 Founded in 1914, the Faculty was then known as the 'School of Agriculture'. In 1925, the School was renamed 'College of Agriculture' until 1968 when the name of the College changed back to 'School of Agriculture'. 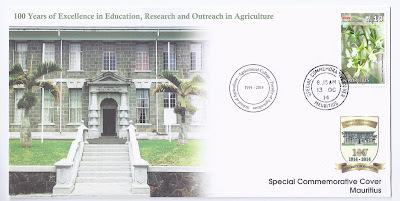 In 1993, the last change in name occurred when the School of Agriculture became the 'Faculty of Agriculture'. The Faculty is located on the campus of the University of Mauritius in Réduit. From the 'Fauna and Flora' issue of 30 August 2013.